A brand designing and manufacturing sports accessories and clothing, Adidas, have their main office at Herzogenaurach in Germany. They focus mainly on the equipments of football. Other than sports accessories they even indulge in manufacturing watches, bags, eyewear and other products. Roots of the company are embedded in 1948, with founder Adolf Dassler. Two brothers, Rudolf and Adolf Dassler were owners of Gebruder Dassler. Split between them marked the official origin of Adidas in 1949. Presently, they manufacture variety of shoes that include Supernova Sequence 4, adiStar Salvation 3 and others. They even use leather of kangaroos for manufacturing expensive shoes. There are currently 0 consumer reviews about Adidas available. Share your review. Please take a note that you are about to post a public review about Adidas corporate office on CorporateOffice.com. This review will be public, so please do not post any of your personal information on this website. 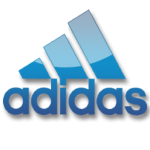 If you would like to contact the corporate offices of Adidas, please use their contact information such as their phone number, website, and address listed above to contact them. However, sometimes staff from Adidas headquarters do read the reviews on this website.